Alison Weir, our pre-eminent popular historian, has now fulfilled a life's ambition to write historical fiction. Child of a scheming father and a ruthless mother, for whom she was merely a pawn in a dynastic power game with the highest stakes, she lived a life in thrall to political machinations and lethal religious fervour. Alison Weir, our pre-eminent popular historian, has now fulfilled a life's ambition to write historical fiction. She has chosen as her subject the bravest, most sympathetic and wronged heroine of Tudor England, Lady Jane Grey. Lady Jane Grey was born into times of extreme danger. Child of a scheming father and a ruthless mother, for whom she was merely a pawn in a dynastic power game with the highest stakes, she lived a life in thrall to political machinations and lethal religious fervour. Jane's astonishing and essentially tragic story was played out during one of the most momentous periods of English history. As a great-niece of Henry VIII, and the cousin of Edward VI, Mary I and Elizabeth I, she grew up to realize that she could never throw off the chains of her destiny. 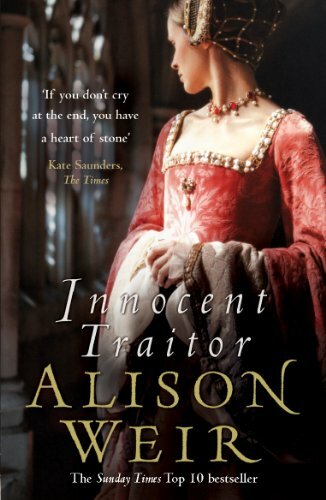 Her honesty, intelligence and strength of character carry the reader through all the vicious twists of Tudor power politics, to her nine-day reign and its unbearably poignant conclusion.